The Snake print watch by Breda will connect you to your wild side. To wear this watch you have to be a fashionista with confidence. This watch looks and feels like real Snake skin. 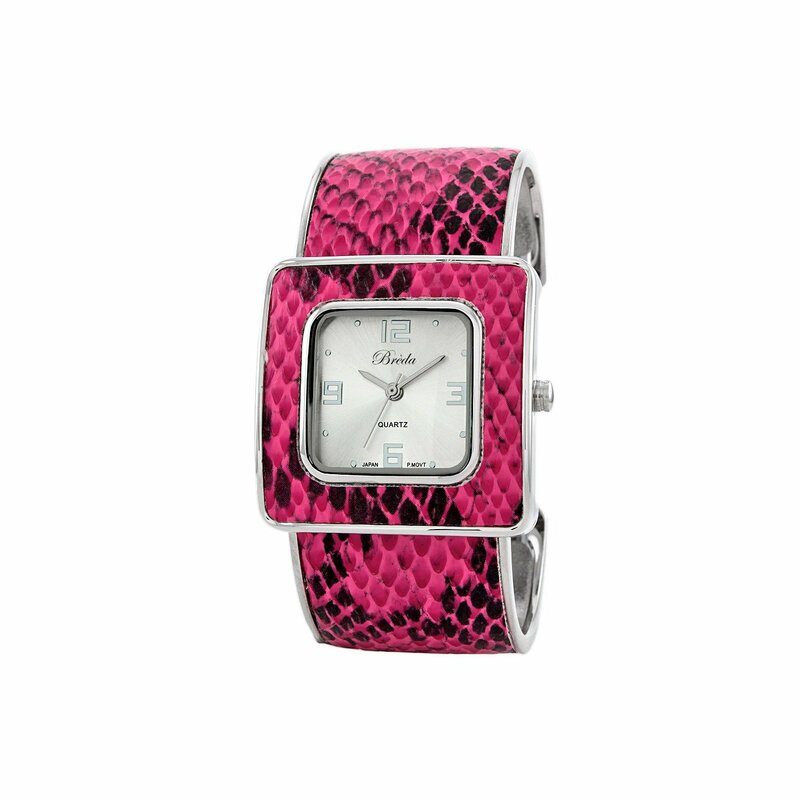 The bezel and bangle have a pink snakeskin pattern leather covering it’s metal base. The sunray silver dial has monochromatic silver hour markers. To keep the watch tight on your wrist the bangle is spring loaded, easy to put on and take off. What a great gift!